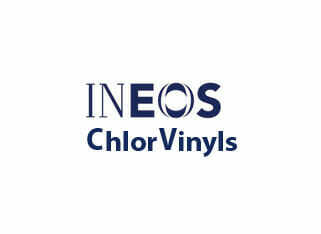 INEOS ChlorVinyls is a major manufacturer of industrial chlor-alkali chemicals. A global leader in chlorine derivatives and Europe’s largest PVC manufacturer, the company’s products include a number of familiar trademarks such as CERECLOR™ and NORVINYL™. Located in the heart of the North West UK’s chemical industry, the company’s Runcorn Site manufactures a full range of chlor-alkali chemicals including chlorine, sodium hypochlorite, caustic soda and hydrochloric acid as well as vinyl chloride and chlorinated paraffin’s. INEOS ChlorVinyls has a strong commitment to the highest standards of safety and environmental performance. INEOS ChlorVinyls wooden cooling towers were to be replaced, but shutting down the cooling system would result in lost production. Instead the towers were replaced one by one, in order to complete the on-line change of 50m3/hr of cooling water contaminated with demolition debris, which was flowing into the sump of the off-line tower. This needed to be handled and treated before the cooling towers could be replaced. Commissioning Manager Eddie Sloane considered his options: discharge the water to drain or recover it back to the cooling system. The first option would overload the drains, and replacing the lost water with mains water would be expensive and would exceed the capacity of the cooling system make-up water treatment plant. The second option needed a pumping and filtration system to remove the demolition debris. Veolia could provide a temporary plant consisting of pumps and two stages of filtration: coarse strainers followed by bag filters. The skid mounted plant was designed, built and delivered to site within only a few days. The bespoke system remained there for two months until the tower replacement had been completed. Removing the debris from the water and retaining it, and the cooling water conditioning chemicals that it contained, was not only a more environmentally friendly solution but also allowed continued operation of the cooling system at full duty. The cost saving of disposing of the contaminated water and replacing it with mains, Veolia saved the client £30,000.